Composite Doors give the look of classical timber doors. Available in colours and wood finishes. 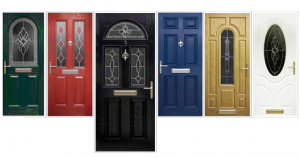 Not only do they look good they are very secure, have a full 10 year manufactures guarantee, and exceed extreme weather testing.